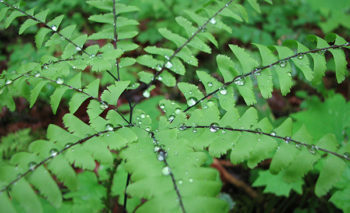 Welcome to EMSWCD’s Nature Notes series! Nature Notes shares small moments and interesting observations from our property, as well as related natural history tidbits, on a weekly to monthly basis. 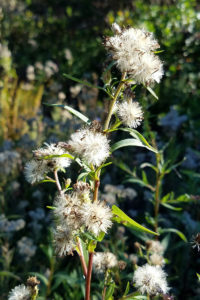 The goldenrod has gone to seed, and honeybees are scouring the last of the fall asters. Here at EMSWCD, we employ a few simple practices to reduce the fall garden work and help birds and pollinators survive the winter. Read on to learn what you can do! Standing stalks provide shelter for pollinators, so leave them standing if you can. Birds feed on seeds and insects through the winter. In the spring they will need lots of insects to feed their young. You can help birds by leaving lots of habitat for pollinators and other beneficial insects to shelter safely through the winter. Adult butterflies, ladybugs, and many other beneficial insects overwinter in rock crevices, under bark, and in leaf litter. They lay their eggs in stems, on twigs, and under leaves. Pollinators and their larvae shelter in hollow standing stalks, and beetles take refuge in clumping grasses. A natural winter garden is a healthy pollinator hotel! We are pleased to announce that our Working Farmland Protection program has closed on yet another important working farmland transaction. 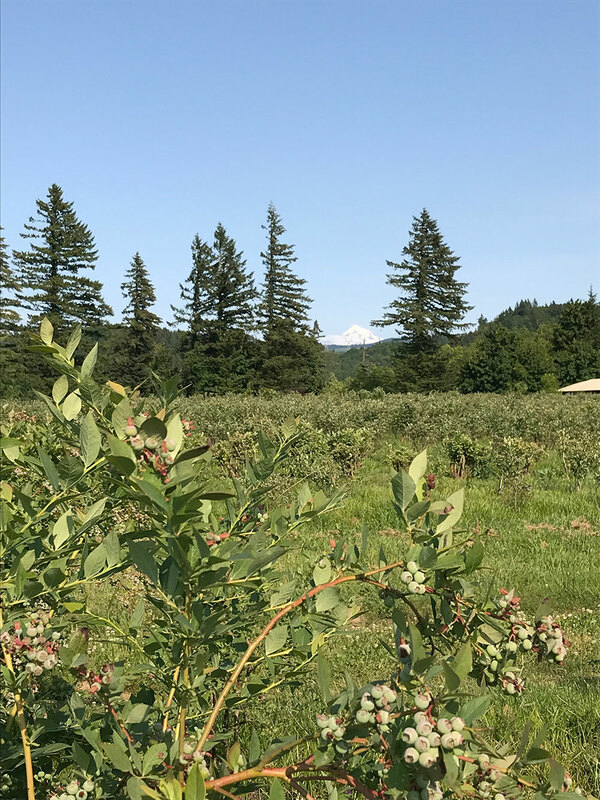 This September, EMSWCD acquired a 20-acre property in Corbett, ensuring a future for agriculture on this blueberry, raspberry and blackberry farm. Our fall season of workshops is here! We offer free and practical how-to workshops at a variety of locations in collaboration with our community partners. Discover simple gardening practices that will help you create a beautiful landscape that conserves water, reduces pollution and attracts beneficial wildlife to your yard. Our workshops cover all kinds of topics, including planting with native plants, natural landscaping techniques that reduce pollution and water use, supporting beneficial insects and pollinators, and putting rainwater to use with a rain garden. 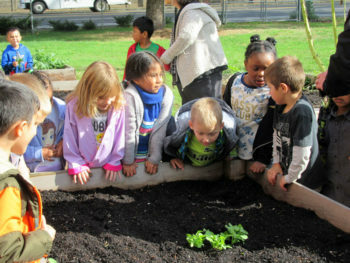 New this season, we’re also offering workshops on how to create an edible landscape! Are you considering applying for a Small Projects and Community Events (SPACE) Grant? Please see the SPACE Grant webpage for detailed information about grant requirements and eligibility. Check out our new online application system for SPACE grants! Applying for a SPACE grant is now done online through ZoomGrants, an online grants management system. We hope you will find ZoomGrants easy to use and we are here to help if you have any questions. For all queries, please contact our Grants Manager, Suzanne Easton: Suzanne@emswcd.org. 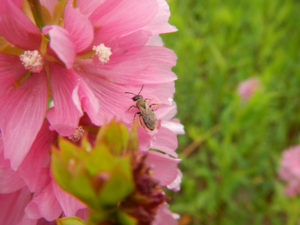 Nature Notes 5: National Pollinator Week! 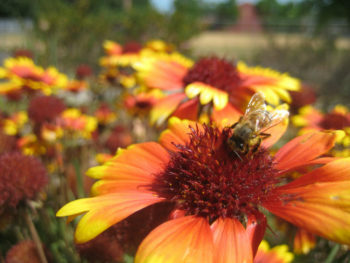 June 18th-23rd is National Pollinator Week! This week, EMSWCD is celebrating all the things pollinators do for us, and all the things we can do for them. One third to one quarter of our food – and nearly all our flowers – depend on pollinators! Do you want to live in a world without chocolate or coffee? Without roses or honeysuckle? Neither do we. Wild pollinators are more efficient than honeybees, so many crops produce higher yields when wild bees are present. 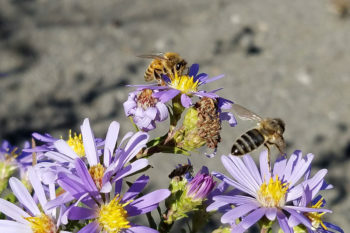 Wild pollinators are generally less aggressive than honey bees, since most are solitary and don’t have a large hive or store of honey to defend. 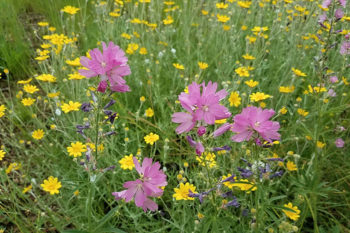 May is Native Plant Month! This month in celebration of Native Plant Month, we’re highlighting a variety of native plants, all of which you can come see any time at our Conservation Corner!